Home Profile Directory George Dallam, Ph.D.
Dr. Dallam is a professor in the Department of Exercise Science, Health Promotion and Recreation at Colorado State University – Pueblo. He has taught a wide variety of classes in exercise physiology, research and statistics, behavior facilitation, sport psychology, kinesiology, biomechanics, management, exercise assessment and prescription, swimming, running and triathlon and is currently chair of the CSU-Pueblo Institutional Review Board and Faculty Compensation Committee. He is also the former National Teams Coach for USA Triathlon and has worked for many years with elite U.S. triathletes as a coach, advisor and consultant. Athletes coached by Dr. Dallam have included National Elite and Age Group Champions, Olympians, Pan American Games Medalists, World Age Group Champions and the top ranked male triathlete in the world in 2005-2006, Hunter Kemper. Dr. Dallam has been involved in numerous research studies and the publication of their results examining various aspects of triathlon performance and training, as well as diabetes risk factor modification. His current research interests focus on the capability of athletes adapted to nasal only breathing to produce peak workloads similar to that produced when breathing orally, as well as the effect of functional movement interventions on running performance. Dr. Dallam was both the founder and a long term member of the USA Triathlon National Coaching Commission. He has authored numerous articles and book chapters applying training principles to triathlon and is the co-author, with Dr. Steven Jonas, of Championship Triathlon Training, published in 2008 by Human Kinetics and Teaching and Coaching Triathlon Successfully, published in 2014 by Coaches Choice. He is regularly sought as a speaker and expert on exercise related topics having provided insights to publications as diversified as Runner’s World and the New York Times. 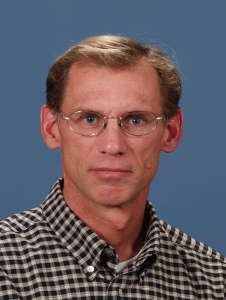 Dr. Dallam has received both the United States Olympic Committee’s Doc Counsilman Science in Coaching award (2004) and the National Elite Coach of the Year award (2005) for triathlon. He has also received all three of CSU-Pueblo’s university-wide awards for teaching (2001), scholarship (2003) and service (2005). He has further twice received the outstanding faculty member award (2005 and 2013) in the College of Engineering, Education and Professional Studies at CSU-Pueblo. Finally, Dr. Dallam has been continuously competing in triathlon since 1981.